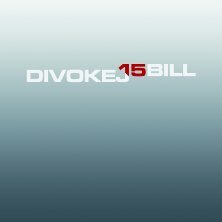 Divokej Bill’s sixth studio album marks their fifteenth anniversary! Four years since the previous, “Mlsná”, the band now presents eleven songs in their highly popular style, yet with greater maturity and sonic trimming. Their traditional identification mark, chordal lucidity, has remained, with songs you can yourself play by the campfire. And the lyrics? “Love, death, booze, grass, motorcycles. Simply everyday life,” says the vocalist Vašek Bláha. Fortunately, the vigorous, occasionally half-naked gang, suitably bellowing refrains, didn’t just stick to hopping and skipping. Don’t you believe it? Well, look at yourself in the mirror sleeve, leaf through the booklet – and, above all, listen. The album, produced by Pavel Karlík (Sono studio), is full of energy and nostalgia alike. Enjoy the still wild guys Vašek Bláha, Adam Karlík, Roman Procházka, Štěpán Karbulka, Miloš “Jurda” Jurač, Martin “Pecan” Pecka, Honza “Jack” Bártl and Marek Žežulka. A Wild Bill indeed.